On a quest for a more sustainable shopping experience, we took a day trip to Brooklyn and dived into the local sustainable retail scene. Our first stop was the Package Free Shop founded by the marvelous Ms. Lauren Singer, a pioneering environmentalist educating people on how to lead a zero waste lifestyle . Her YouTube video, Four Years of Trash: One Jar, has been a great inspiration for us here at Pildora. Everything sold in the store was compostable or recyclable. The packages, if any, were reusable or refillable. Rediscovering connections with objects and reimagining life without plastics seemed almost impossible in the modern world. However, we were once again reminded of how analogous experiences can nurture innovative design. Not far away was a vintage store called Antoinette. Our team had a ton of fun discovering old video tapes, film cameras and trying on gender-neutral clothes. Slowly we moved down to Atlantic Avenue, which is home to Brooklyn’s up and rising sustainability scene. We visited Kaight, which displays a thoughtful curation of sustainable designs. The handcrafted organic Chai Tea soap is to die for! What caught our attention next was an old man’s vintage pop-up shop nextdoor. Everything had a story there! It got us thinking about the relationship between consumption and value. Does buying new, buying more really make us happier? Or does a memorable experience matter just as much? Moving closer to the river, we discovered Arco Salon and were greeted by the most adorable receptionist ever! Arco New York is a cruelty free eco luxury salon and boutique using healthier, natural, biodynamic ingredients without chemical treatments. That’s a lot to take in. Haha. But we applaud their clear explicit mission as well as their belief in sustainable development and holistic wellness. Farther down the road, we had some childish fun discovering City Foundry, where beautiful lamps and furniture can be found and laboratory models were repurposed as interior decorations. Our last stop was 1 Hotel Brooklyn Bridge. Designed by local artists using native greenery and reclaimed materials, in their own words, nature is home in Brooklyn. With some aperol spritzes in hand, the team reflected on our learning from the day trip. While each store was very beautiful and unique, we felt there was something missing. Many of the shops featured neutral colors and oversized shapes. But why does sustainable fashion and design mean beige, minimal and big? We concluded that this is one of the reasons why so much of the public has not accepted sustainable brands into their own lives. At that moment we decided to continue on our mission to seek out sustainable designers and stores who dare to stand out and be bold. 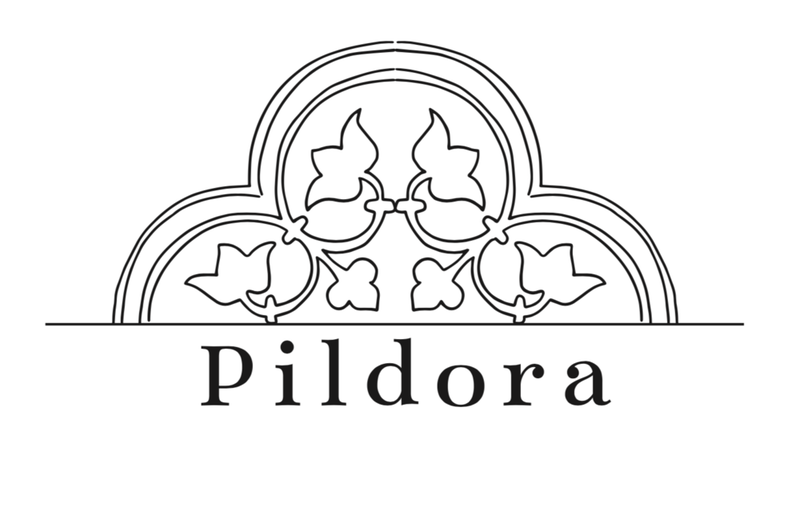 At Pildora, we believe it’s possible to be edgy and ethical and we are forever committed to disrupting the sustainable industry..